This salad is very light, perfect as a side dish when consuming a heavier meal. We recently ate a whole bunch of spare ribs and had this salad to complement the meal. Create a variation of this salad by adding more ingredients, such as olives, parmesan cheese or croutons. We kept it plain and simple. 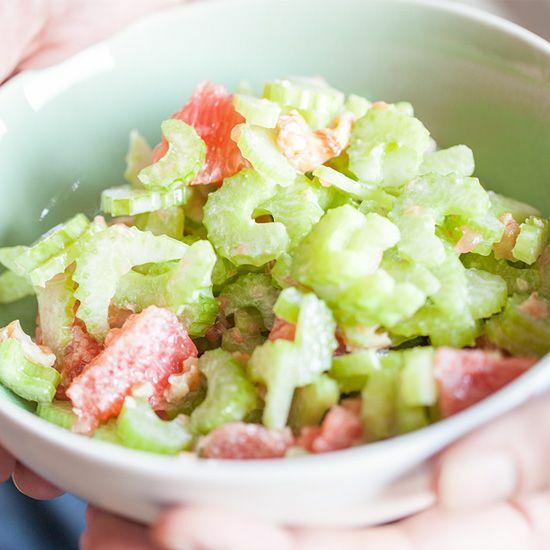 PEEL and clean the grapefruits and wash the celery stalks. REMOVE any leaves you may come across when cleaning the celery. 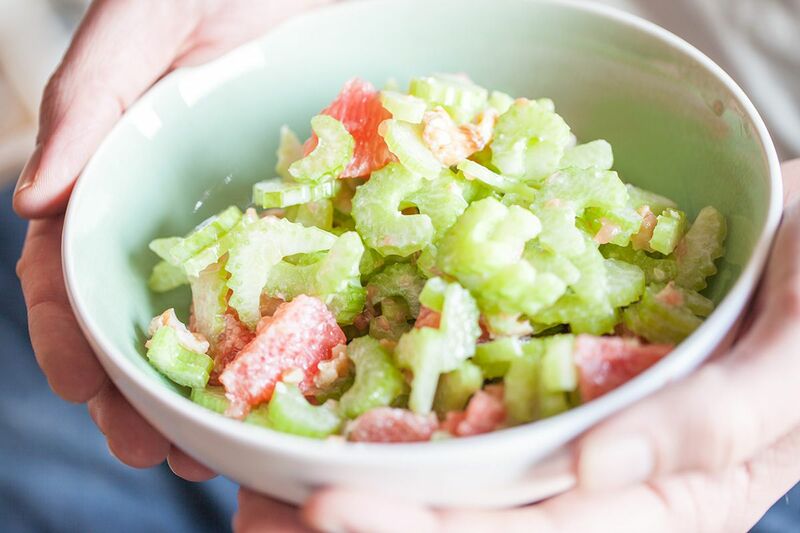 Slice the grapefruits and celery stalks into bite-sized chunks and put into a big bowl. Mix together using a spoon. 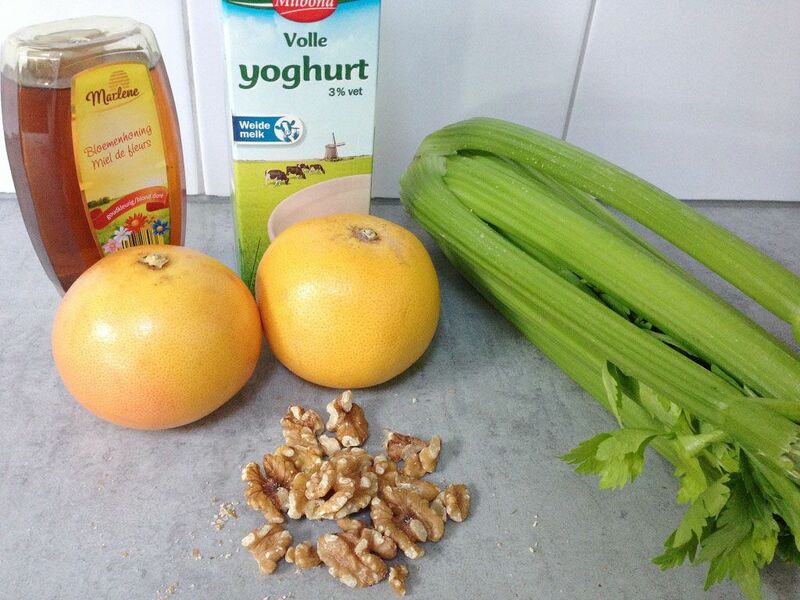 Season with one tablespoon of honey and three tablespoons of plain yoghurt. CRUNCH and divide a handful of walnuts over the salad and mix well. Serve immediately or place in your refrigerator and cover with cling film. If you do, be sure to eat this salad within 2 days. Enjoy! I love this salad! It must be so refreshing!